More and more companies are realizing the potential benefits of using a GPS based fleet management system to monitor their fleet. In addition to providing quality control and efficient routing, there are many benefits of having this technology at their disposal. A fleet management based of GPS provides labor savings, cost savings, driver safety, and a reduction in a company’s carbon footprint. With fuel costs through the roof, implementing a GPS Fleet management system can lower your fuel costs and improve vehicle efficiency. For small to medium-sized business with fleets, delivery trucks, transport supplies and equipment, it is likely high fuel costs are eating into their profit. In general, companies that use a GPS Fleet management system save at least 10% in fuel in comparison to companies who do not use the technology. Most companies find that the cost of the GPS real-time tracking system pays for itself within a matter of months in fuel savings alone. GoFleet helps companies reduce their operating costs of their vehicles using GPS tracking technology. Our system combines GPS real-time tracking units installed in all fleet vehicles with fleet management software that analyzes the data. This will enable fleet managers to improve dispatching and routing efficiencies. They will be able to see where their vehicles are in real-time, optimize maintenance schedules and identify any issues including unauthorized vehicle use or driver speeding. All businesses with vehicles on the road can benefit from installing a GPS based fleet management system including service companies, construction equipment and delivery companies. GoFleet has a wide range of satisfied customers such as waste haulers, commercial trucking firms, school transportation services and pest control services. 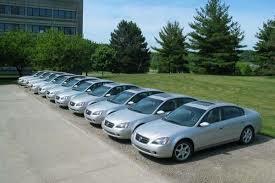 Fleets can be any size from three to over ten thousand. In the United States alone, there are more than 20 million commercial vehicles and only 2 million are currently using a GPS Fleetmanagement system. This number is rising quickly as businesses become aware of the system’s benefits.